Home What Can I Make? What can I make with a 3D printer? The short answer is just about anything. Today, 3D printers of various types are being used by a wide variety of people and organizations, from individual artists or hobbyists, to small and large businesses, engineers, designers, architects, teachers, jewelers, surgeons, NASA scientists and many, many more. There is virtually no field where 3D printing is not being utilized. 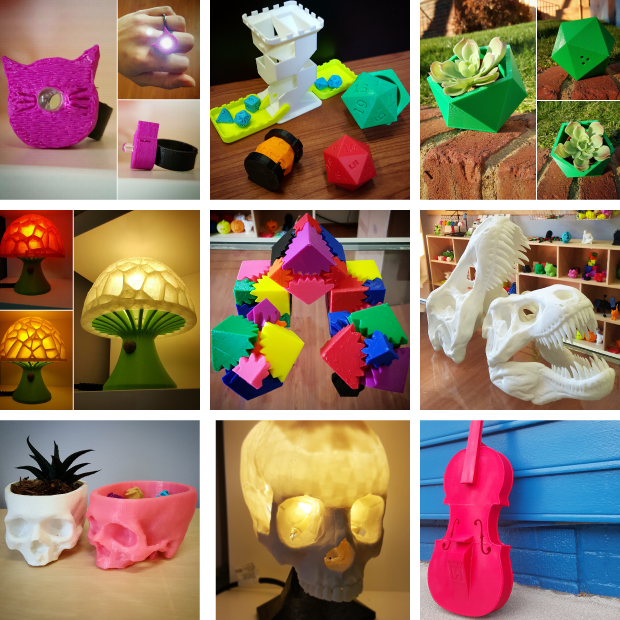 And there are now dozens of internet sites such as www.thingiverse.com where you can find thousands of products, organized by category, and available to download and print. We’ve selected a few of our most popular applications that may fit your need or interest. If so, please click on the button to learn more about how 3D Central can help. If not click here to send us a question, or get started on a project of your own.